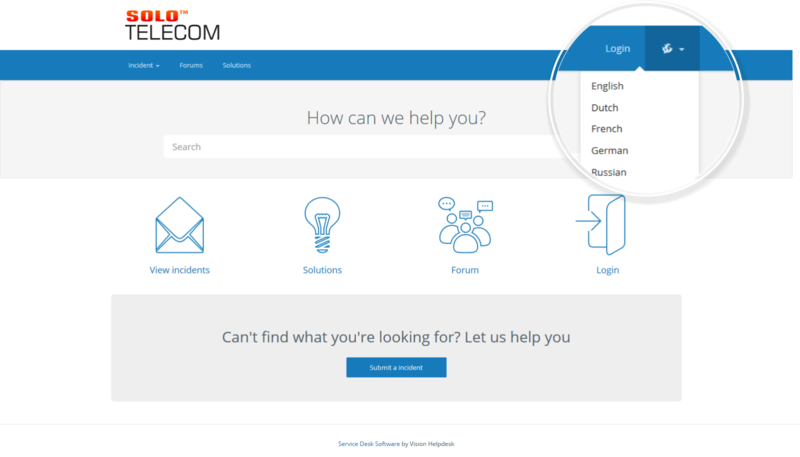 Vision Helpdesk’s Multi Language Help Desk feature allows you to translate both staff and customer portal in multiple languages, thus making it easy to manage multilingual help desk global team and customers all round the globe. 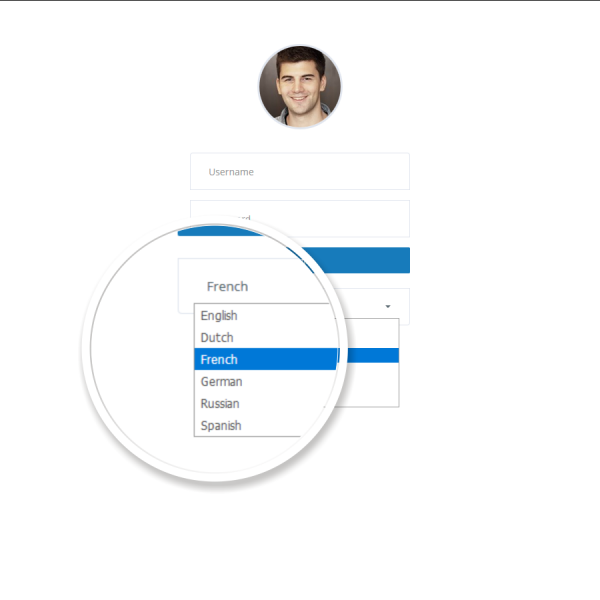 The system also offers localisation tool using that customers can translate or modify existing languages or even add new languages on their own. End users can select their language from customer portal and staff members can set their default language while login to staff portal. 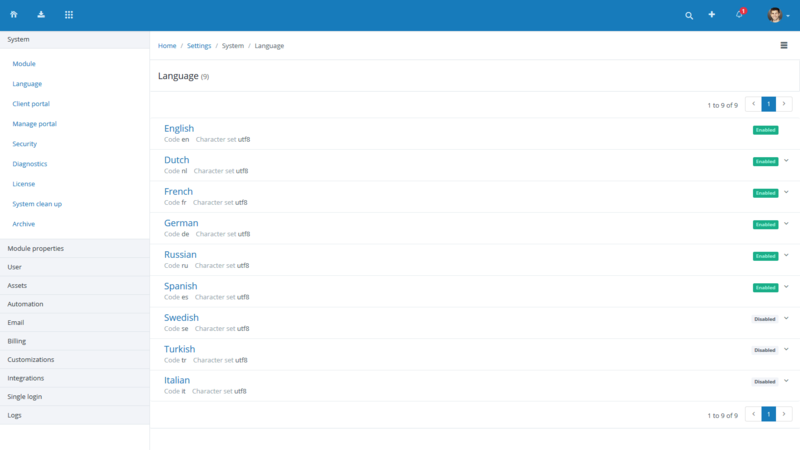 Each staff can setup different language for themselves, thus manage multilingual staff at one place. 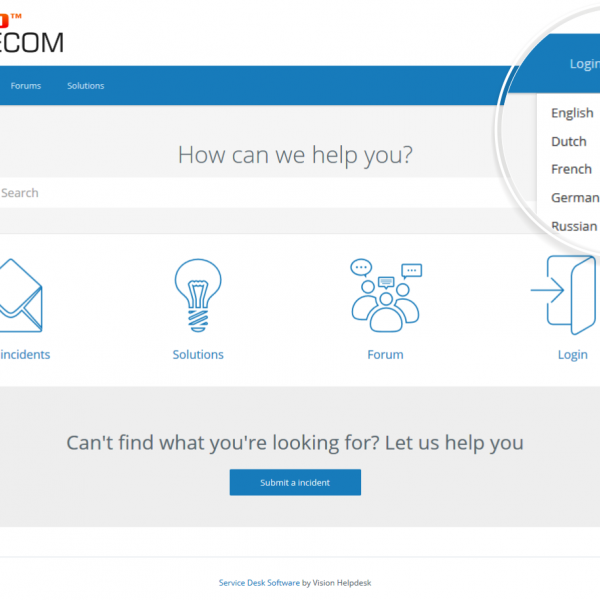 Offer customer portal translation in multiple languages. 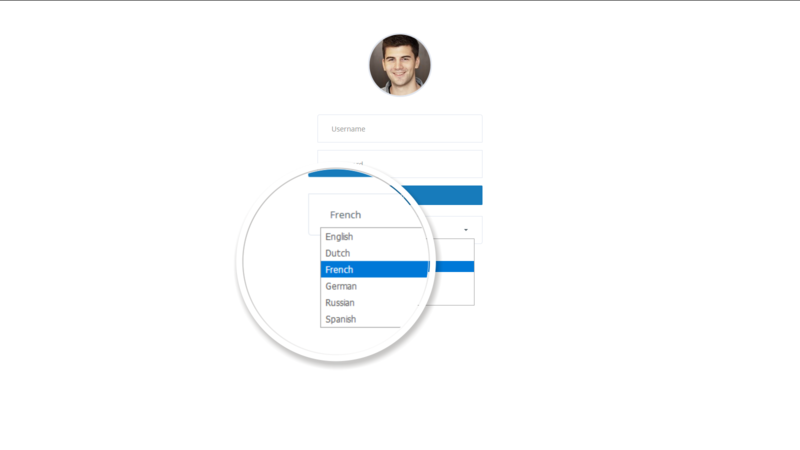 Customers can choose language on client portal. Send out auto responder emails in customers language.